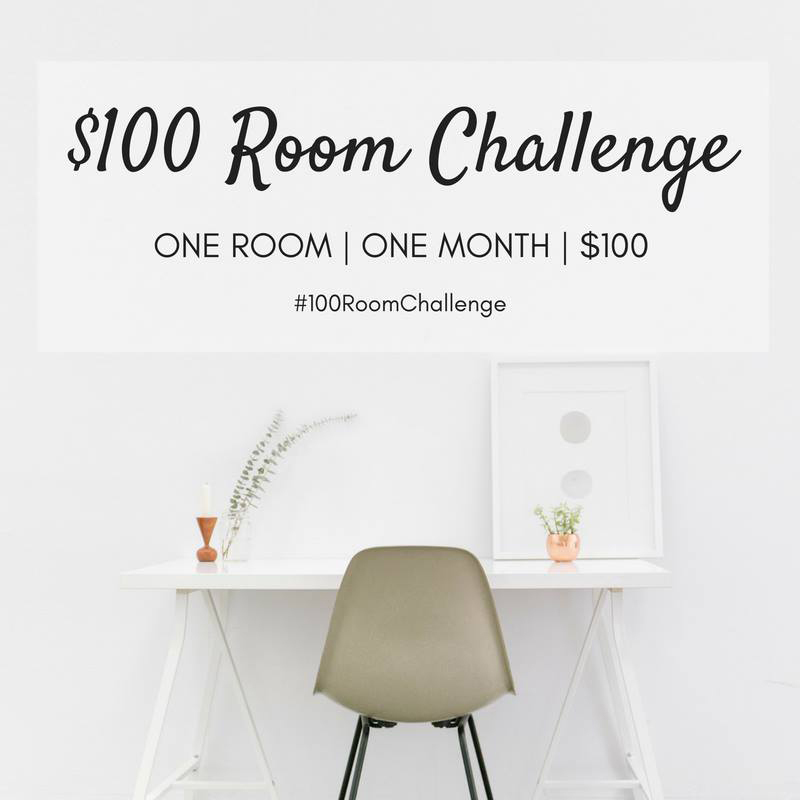 As week 3 of this month’s $100 Room Challenge comes to close, I have been busy wrapping up all the projects for the laundry room makeover. 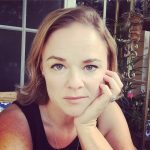 I’m so glad that Erin from Lemons, Lavender and Laundry invited me to participate, because it’s one of my favorite makeovers to date! It’s looking so much better, even without the last bits finished. I can’t wait to show it to you next week… but for now, let’s see where we stand in the list of things I wanted to accomplish. Paint the lower cabinets and change the hardware – DONE. In addition to all those projects, I painted the door leading out to the garage. It was previously navy, but I wasn’t loving it in there, so it got a fresh coat of black satin. I love how the black lower cabinets and the door work together now. 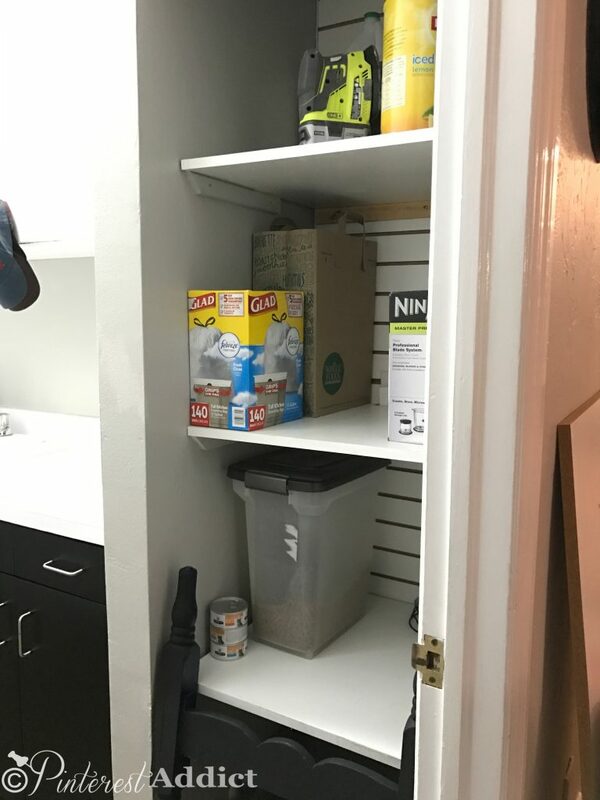 We also cut a few extra shelves for the closet to give us some more storage space for things like paper towels and garbage bags, etc. We used the melamine boards we used at the old house for all the shelves, and 1×2’s we had in the scrap pile for the supports. You can see the top of the kitty litter protector we made out of an old footboard at the bottom… still have to give it one last coat of paint. I did finish the stencil on the one wall, but I’m waiting to show you til next week. It looks so much better in here already!! Don’t forget to check out the progress of all my buddies! I can’t wait til all the final reveals next week!! It’s funny how just cleaning it out has made me actually want to get the laundry done! I say go for it! Love those dark cabinets… and I think the hardware looks fine. You can always upgrade later if you want 🙂 So excited to see the stencil! Can’t wait for next week’s reveal! Although I am not the most patient stenciler, and they are a little fuzzy around the edges, it’s still so darn cute! I love to look in there now from the kitchen – it really makes it pop! Oh I love the door and those floors are gorgeous. Thank you! Painting the door black makes me want to paint them ALL black. Must control myself – have to get the house ready to sell soon! It’s looking great! I love that floor and can’t wait to see your stenciled walls. Thanks! I’m pretty excited to share next week – the stenciled wall is adorable and fun! A house can never have enough storage space! Silver and black are a classic pair! The hardware looks great! You got so much done! Awesome job! Can’t wait to see that stencil. Looking good! I can’t wait to see the complete reveal! 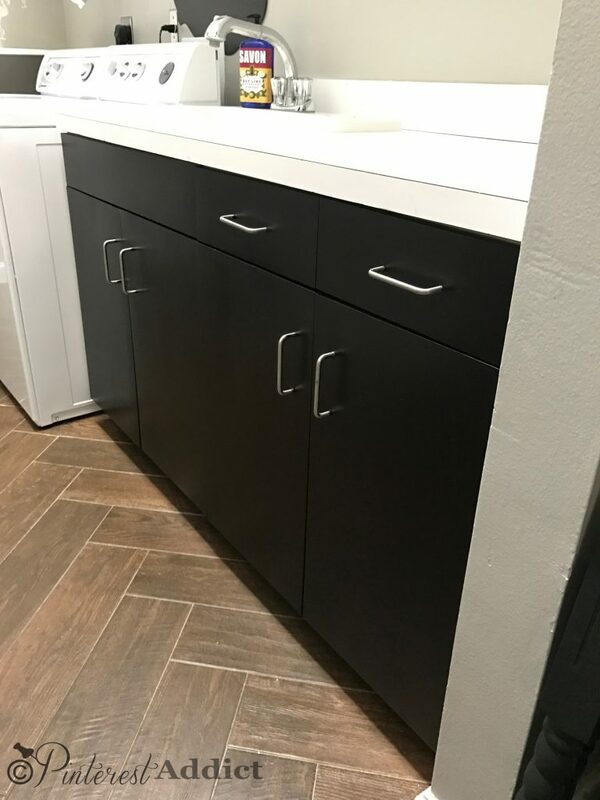 I love that you painted the cabinets black–it gave them a much sleeker look! The black cabinets and door look so smart! Cute leash holder. I love thrift store finds! This room is totally coming together. LOVE the dark cabinets and door. I’m in need of a laundry room update. Your are definitely inspiring me. Can wait to see the reveal and that stenciled wall! Everything look so tidy and very custom look! What a transformation so far.It really is a great project. Love the dark cabinets!! I can’t believe you’re pretty much done! I feel like I’m just sarting and will never get everything done by next week! The black door and cabinets look sharp! I love the floor too. Very nice! I am loving that black door! 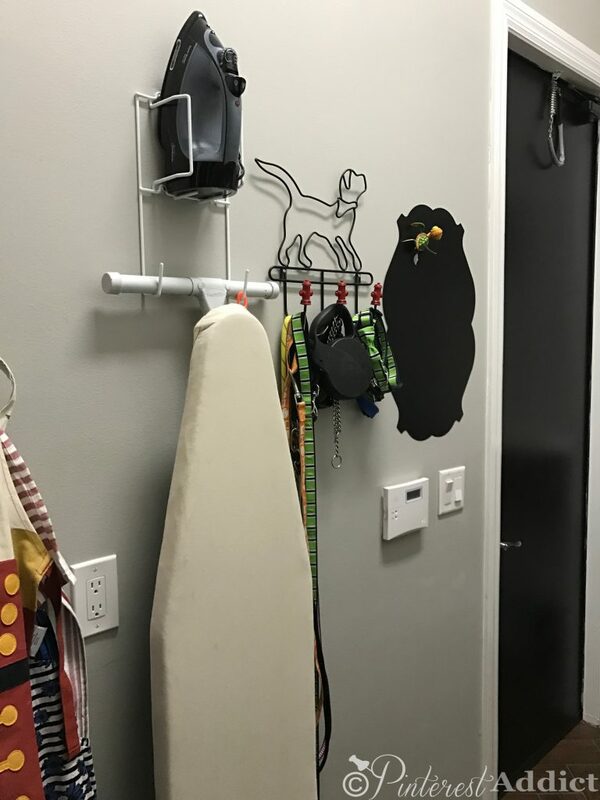 That dog leash hook is a great find for $1.oo I never think to look for things like that when I am at the thrift store, but could really use one! The suspense of waiting to see the reveal until next week is killing me! Love the black cabinets! Wow, you’ve gotten so much done already! I love the black door and cabinets, and I can’t wait to see the full reveal!